I’ve made it past the halfway point of my concomitant (a fifty-cent word for “at the same time”) chemo- and radiation therapy. But how do these work and how do they compliment each other to produce a more effective end result? This will be a quick intro to the tag team nature of chemotherapy and radiation therapy. I’ll brief you on what each does and how they compliment each other. A couple of future posts will go into greater detail about my specific treatments. I’ll start with chemotherapy. There are over 50 chemotherapy drugs that are commonly used[i]. Of these drugs there are at least 6 different types of chemo that are prescribed differently for the patient and the specific cancer diagnosis, i.e. a leukemia drug would not be ideal for lung cancer. My prescribed chemotherapy is temozolomide (often called by its brand name Temodar). Cancer cells, in their rush to multiply, tend to be less error correcting than normal cells. This structural flaw leaves them more open to attack on their DNA. 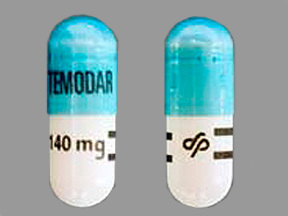 Temodar is a Cytotoxin alkylating antineoplastic agent that directly disassembles cellular DNA. These drugs affect all cells within the body but are most effective on those, like cancer, which reproduce quickly. A medical oncologist prescribes this drug in an attempt to weaken the DNA while slowing and eventually stopping the growth of cancerous cells. The radiation therapy I undergo uses focused high-energy x-rays from a linear accelerator that are aimed directly into the area of my cancer. Radiation, like chemo, destroys a portion of DNA in any cells that it passes through. The goal again is stopping uncontrolled cell growth and hopefully killing the cell. 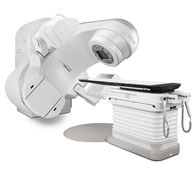 One can think of the increased effectiveness of dual chemo- and radiation therapy in terms of fighting. One doesn’t just hit an opponent once and hope it lays him out. Combinations work much better. One wants blows to weaken defenses while being followed by knockout attempts without leaving oneself vulnerable to similar return blows from the opponent. Combined chemo- and radiation therapy, while monitoring collateral damage to healthy cells (keeping one’s defenses up), attempts to weaken and damage cancerous cell growth directly with one-two’s of radiation and chemo. All punches are similar in fighting. They can be more effectively used by someone who is trained and experienced in targeting these finely tuned weapons. That’s the reason why most of would avoid a fight with, say Floyd Mayweather. He knows his tools. I think of my oncologists in the same light. Just as Mayweather knows how to do his thing, my doctors are also trained to use their tools as effectively as possible while minimizing collateral damage.